A P 'Jimmy' Rowe studied physics at the Royal College of Science (University of London) receiving a BSc Hons in 1922. He then joined a defence science unit of the Air Ministry under Dr Henry Wimperis, which was housed at the Imperial College of Science and Technology where he also lectured part time. In the early 1930s Rowe visited Germany on holiday where he probably saw the first signs of German unrest [source Dr Ernest H Putley]. In 1934 a large scale Air Defence exercise was held to test Britain's air defences with mock air raids on London. Most of the bombers reached their targets without opposition. Soon after, Rowe arranged a demonstration for Air Marshall Dowding to see the large concrete sound mirrors on Romney Marsh, intended to give advance warning of approaching aircraft. Before Dowding arrived, he saw that the mirrors were rendered completely ineffective by the noise of a horse drawn milk float. He was so concerned, that he exceeded his junior responsibilities by reviewing all the Air Ministry files on air defence. He was so alarmed that he formally wrote to Wimperis to say that if we were involved in a major war, we would lose it unless a new initiative could be found. He suggested that the best scientific brains in the country should be asked to study the problem. Dr Wimperis put this proposal to the Secretary of State which resulted in the setting up of a committee with the chairmanship of Henry Tizard and with Rowe as secretary. Robert Watson Watt (from the Radio Research Laboratory) reported to the committee that it may be possible to detect aircraft by the reflections from radio transmissions. In February 1935 Rowe witnessed a successful demonstration at Weedon to show the feasibility of this idea using the BBC's Daventry transmitter and a Heyford Bomber. This secured funding to start work on Radio Direction Finding (RDF) - later called radar. Work started quickly at Orfordness on the Suffolk coast to develop these ideas under Robert Watson Watt. The work was successful, and in 1936 the team was enlarged and centred at Bawdsey Manor nearby. 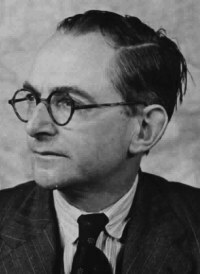 In May 1938 Rowe took over the management of the research when Watson Watt moved to London to manage he setting up of the Chain Home stations. From that moment until the end of the war he guided the development of a multitude of radar systems which were vital factors in the ultimate success of the Allies. In order to foster good communications between the military commanders, the research scientists and industry, Rowe arranged regular 'Sunday Soviets' where operational problems and scientific possibilities could be discussed freely in an informal atmosphere. This helped ensure that scientific expertise was put to the best advantage at solving operational problems. As a direct result of these meetings, several radio and radar navigation systems were built to improve bombing accuracy: GEE, OBOE and H2S. At the end of the war Rowe was exhausted from the demanding years managing the radar development. In 1948 he became vice chancellor at Adelaide University. It is unlikely that a defensive radar system would have been working before the Battle of Britain if Jimmy Rowe had not used his initiative to raise concerns about Britain's air defences. He also led the radar team both before and during the war, and his 'Sunday Soviets' were key to ensuring good co-operation between the scientists and the military. The concluding words of Bernard Lovell's obituary for Jimmy Rowe in the Times were: "In 1946 Rowe was awarded the American Medal for Merit for his distinguished services to the Allied War effort, but beyond the award of the CBE in 1942, his own country failed to recognise him as one of the critical agents of survival and victory." Imperial War Museum - a small collection of Rowe's papers were donated to the Imperial War Museum. (Searching the Imperial War Museums websites doesn't seem to work). 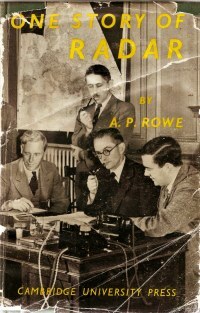 A general account of early radar from Rowe's own perspective as Superintendent of the Telecommunications Research Establishment (TRE), the main UK research centre.